A pair of official laces from Dr Martens. 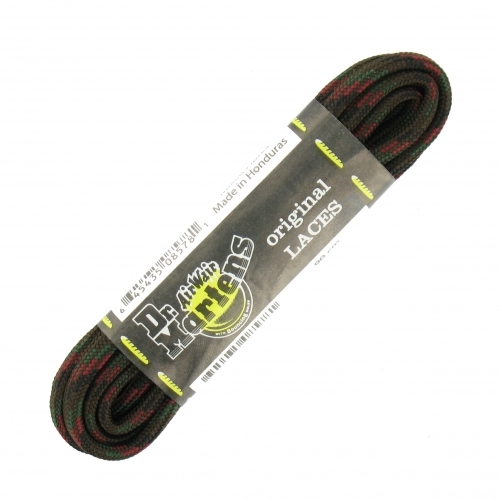 These 90cm long laces are made from mixed fibres and are brown in colour with diagonal red and green stripes. Perfect for use with hiking or mountain boots.